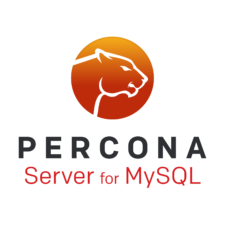 We occasionally get requests from our support clients on how to get Percona Server for MySQL to authenticate with an external authentication service via LDAP or Active Directory. However, we normally do not have access to client’s infrastructure to help troubleshoot these cases. To help them effectively, we need to setup a testbed to reproduce their issues and guide them on how to get authentication to work. Fortunately, we only need to install Samba to provide an external authentication service for both LDAP and AD. We have lately been talking about some upcoming features that we feel are important to MariaDB users, because the corresponding ones that will be provided with MySQL will be incompatible with MariaDB and closed source. The next version of MariaDB, version 5.2.10 will include an open source PAM Authentication Plugin. MariaDB 5.2.10 is scheduled for release next week. A Windows Authentication Plugin is in development and QA currently and will be part of MariaDB 5.2.11, which is scheduled for release before Christmas. MariaDB 5.5 will include both of the above plugins and an open source thread pool implementation. The soon-to-be-launched first version however will not include the thread pool. You probably remember the world of new possibilities introduced to MySQL 5.5. If you do, you probably would agree that no API is useful by itself. This is why you need authentication plugins that fit the largest possible number of authentication setups.